We start with pencil, eraser and ears! Our music transcription service is fast and accurate. We transcribe orchestral scores from recordings as a service to our clients. We’re able to reconstruct detailed, complex musical scores, reconstructing the melodies, orchestration, and sonorities of the recorded source so that result sounds virtually identical to the original in performance. We’re very familiar with big band music. All of our arrangers have written for both orchestra and big band, and we’re all performing musicians who have worked in both of these contexts. Our most frequently requested service is the transcription of string quartet music for wedding ceremonies and receptions. We make lead sheets from provided audio of vocal performances and demo recordings. Occasionally our clients need to have accompaniment written to a solo vocal line they’ve provided. Although writing “the chords” to a song is composition, this is a service we offer on a work-for-hire basis, claiming no credit unless by specific arrangement with the client. Our rates are derived from the American Federation of Musicians Local 802 Rate Sheet for Orchestrators. 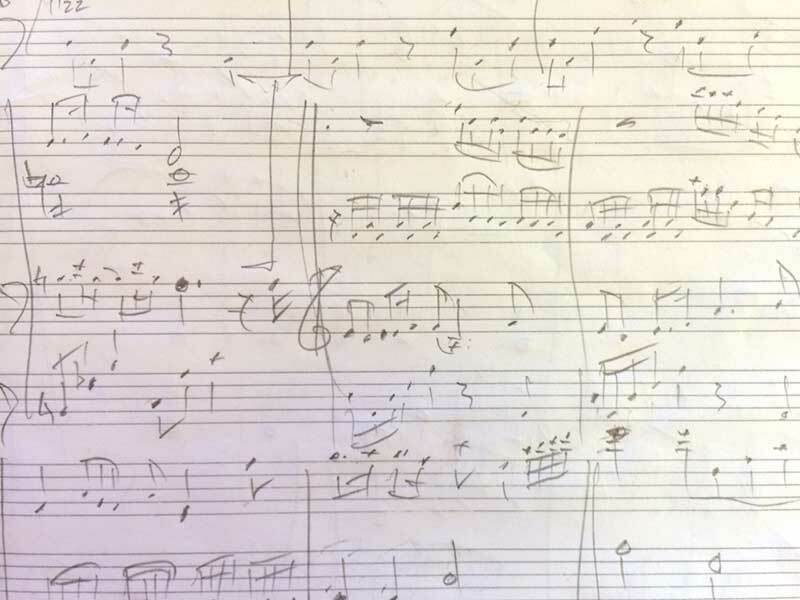 Music transcription is painstaking work, we do it well, and our rates are fair, based on negotiated rates between the American Federation of Musicians and publishers, including the Television, Recording, and Film industries. We give substantial discounts to independent artists, presenters, producers and private clients.